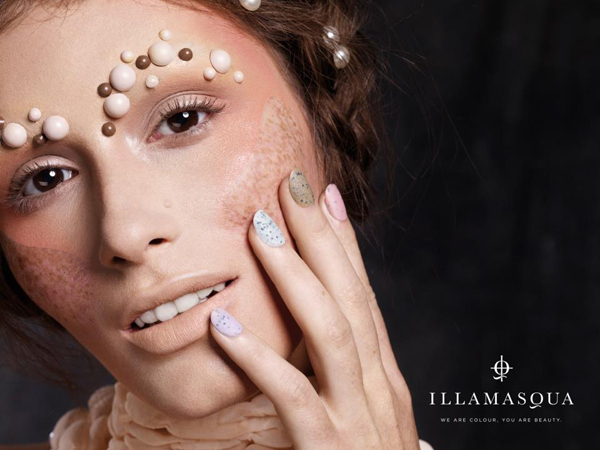 I am always very excited when Illamasqua launches a new collection, and I was even more excited for this one because nothing else really caught my eyes within the S/S 2013 collections. As always, the theme of the collection celebrates individualities and uniqueness in beauty, rather than trying to force a rigid vision of beauty on us. It is about embracing who we are and not trying to cover up the so-called "flaws" that make us unique. This lovely package, from Illamasqua's PR, looking like a little nest, contained 2 beautiful products: Nailvarnish in Fragile (a speckled soft blue) and Blush Duo in Katie+Ambition. The nailvarnishes, as you can see them on the picture below, are really the stars of this collection in my opinion. Their freckled look is very unique and they truly look like eggshells. I had never seen something similar before (although I see similar top coats popping here and there now) and all the shades are perfect for Spring. The blush duos are quite new in the Illamasqua range, and this one is being released with this collection. Katie is certainly one of the most famous Illamasqua blushes because it suits the palest and coolest skins. Ambition, which was released in Fall 2011 I think, is a brighter shimmery pink which I already owned and have worn a lot. The duos come in a larger compact than the regular blushes, in fact they're the same compacts as the eyeshadow quads, and they also have a real mirror in it which is really neat. If you have a darker skintone, there is another duo released with this collection that brings together Beg (dusky rose) and Bronzella (new shade, copper bronze) that will be perfect for you. I have already placed an order for more nailpolishes and for Immodest lipstick, a vivid pink shade. 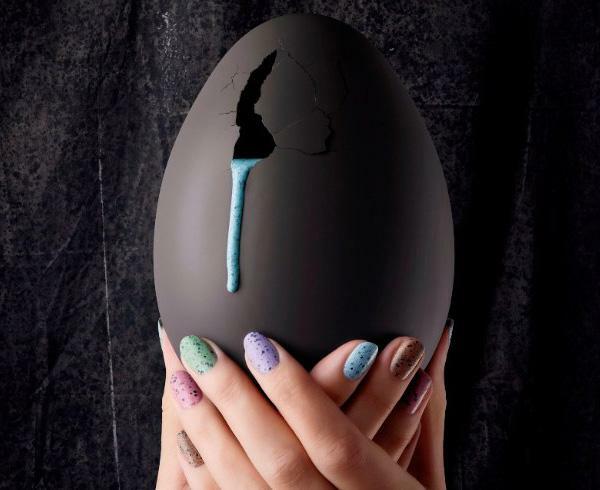 If you are worried about UK Royal Mail not shipping nailpolishes or perfumes anymore, be aware that Illamasqua has found an alternate carrier and is now able to ship those products again. I leave you with my favorite visual for this collection: this speckled eyeliner is just stunning and the whole face is perfection. Have you tried or ordered anything from this collection? - Disclaimer: some of the products mentioned here were sent to me for free for PR consideration. As always, my opinion on the product is honest and I'm not being compensated for this review. As I told you, I even spent my own money on more products from the range!